A true static kernmantle rope providing dependability and durability in the most demanding environments. Perfect for rope access, search and rescue and rope access work. Certified to UL Life Safety Rope specifications, NFPA 1983:2012 Edition Standards and ANSI Standards for Life Safety Static Rope with an internal ribbon through out the entire rope. Specifications: Diameter:11.0mm (.433071") (Reference 7/16" = 11.1125mm) Minimum Breaking Strength: 33.3kn (7500 lbs) (31.3kn / 7047lbs as reported by UL - With 3 Sigma Deviation) Elongation: 2.2% at 1.35kn (300lbs) 4.4% at 2.7kn (600 lbs) 7.4% at 4.4kn (1000lbs) Material: Polyester / Nylon Core Weight per meter: 90 g/m (.064 lbs per foot) Certification(s): NFPA 1983:2012 T Technical Use (static ropes) ANSI Z359.1, Safety Requirements for Personal Fall Arrest Systems, Subsystems and Components, 2007 Edition Made in USA OmniProGear has one of the best rope on the market. Check our spec's against everyone else. 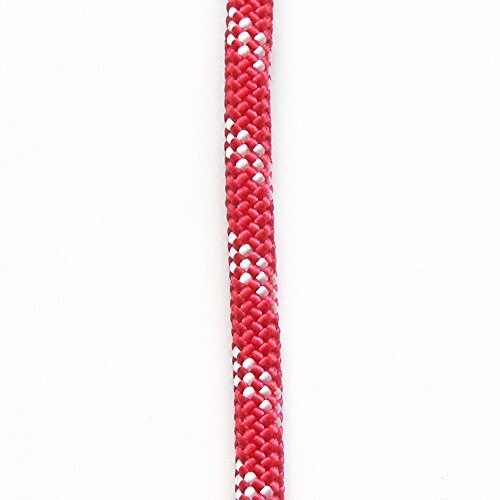 We now have 11.0mm rope (not 11.5mm that others call 11mm or 7/16). This is very important as many devices are getting smaller, and have a narrow range of rope sizes they will accept. Our goal is to make sure that the rope stays close to 11mm as possible, when its under tension, has absorbed water/humidity, and filled with dirt. Don't let others fool you with high breaking strength that have elongations as high as 10% even at 300lbs; Some call that static, semi static or some other made up word, we call it rubber band. Its a real really pain to climbing and haul with a rubber band. High elongation rope is designed for rock climbers the need it for fall arrest, not for rope access and rescue.